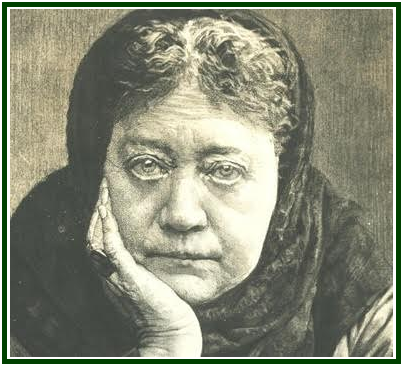 H. P. Blavatsky opened a new page in human history by teaching about the latent powers in human consciousness while practically demonstrating their use. But shadow is doomed to imitate Light, and Karma Law never ceases to work. The abuse of theosophy through imaginary mystical powers, which followed such a sacred teaching, soon created painful problems for the theosophical movement. The challenge started during H. P. B.’s lifetime, when A. P. Sinnett decided to promote mediumistic séances in London in 1887-88. This was a means for him to talk to imaginary Mahatmas, for the real ones had stopped writing letters to him. After H.P.B.’s death, it took only three years for Ms. Annie Besant to ask to be admitted in those séances, as Sinnett honestly reports in his revealing Autobiography. A few years before that, C.W. Leadbeater had come back to London from Asia and become a key element in those séances. Though living in the same city as H.P.B., Leadbeater of course never joined the Esoteric School as long as HPB lived. He had failed in ethics and discipleship soon after having a chance to become a probationary chela, in 1884-1885. From the 1890s on and up to the first decades in the 21st century, no one can complain about a shortage of charlatans talking to Masters, being clairvoyant, developing personal friendship with Maitreya, Sanat Kumara and the Manu, being high Initiates, channeling “St. Germain” or receiving visitors from other galaxies. Being a smart politician, Ms. Besant succeeded in opening the doors of the theosophical movement to all sorts of nonsense regarding “mystical powers”. And yet no illusion is eternal, for Justice and Equilibrium are inevitable. A practical and sensible approach to the challenge of the latent powers in human consciousness must lead us to liberation from the old Besantian trap. The best potentialities of the movement will be awakened after we remove the grossest part of the accumulated dross of disrespect for truth and for the real teachers. One of the first powers to develop, therefore, is that of Viveka, or Discernment. And for this step to be taken we need Vairagya, Detachment, especially with regard to our “personal views” and favourite ideas. The Law establishes that before the awakening of any Powers which we do not have yet, we must develop the ability to properly use the Powers we already possess. Only thus one will enable himself to really take the next step ahead. As a result, one correct approach to the third object of the movement – which includes the investigation of occult powers – is an endeavour to develop the potentialities of consciousness as indicated by the Noble Eightfold Path of Lord Buddha. While only the Wise and Perfected Men have a full possession of those sacred Powers, every honest student can look for, and gradually develop in himself, the abilities and talents taught in that Eightfold Lesson. 8) The power of right concentration. These and other forms of higher awakening must take place on the basis of Common Sense. The search for truth has to be placed far above every other consideration, and one would do well in remembering that in real Buddhism, as in true theosophy, Ethics comes first. It is a high siddhi indeed, for it comes from the higher self and changes all of life and karma. It regenerates the whole world, starting from oneself. We do not need to materialize letters. A telefax machine does that. The Siddhi we must develop now is the ability to give up “spiritual selfishness”, and every aspirant to discipleship must aim at it. It is true that an honest life dedicated to the Cause of mankind unfailingly produces a gradual expansion in the student’s ability to understand himself and the universe. As to some other aspects of one’s awakening, however, an iron rule has been set ages ago, and it is well expressed in Lao-Tzu’s “Tao-te-Ching”, the Chinese work on classical theosophy . “He who knows does not speak. “Autobiography of Alfred Percy Sinnett”, Theosophical History Centre, London, 1986, 64 pp., see especially p. 48. “The Way of Lao-Tzu, Tao-te Ching”, translated and with notes by Wing-Tsit Chan, Prentice Hall / Library of Liberal Arts, copyright 1963, NJ, USA, 285 pp. See the opening of Chapter 56, at p. 199. See also the French language version of this ancient book from which H.P. Blavatsky quotes in “The Secret Doctrine” (Vol. I, p. xxv); “Le Tao Te King”, Lao-Tseu, by Stanislas Julien, 1842, L’Imprimerie Royale, Paris, 304 pp. An initial version of the article “How to Develop Occult Powers” was published in the September 2012 edition of “The Aquarian Theosophist”, with no indication as to the name of the author.